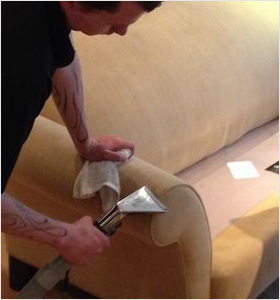 UCM Cleaning Services specializes in the kind of upholstery cleaning that can help extend the life of your furniture. Only the finest and reputable cleaning agents are used for upholstery and furniture cleaning and each service is appraised before a cleaning agent is sent to your location. Moisture is fabric's worst enemy, which is why our cleaning services avoid using excessive water when cleaning your upholstery by hand or by machine. The type of cleaning agent to be used depends on the type of fabric, frame, and build of the piece of furniture; however we will consult with you and provide you a price estimate before beginning. Whether you have upholstered furniture or leather furniture, your piece still requires cleaning to preserve its appearance and prolong its life. Furniture cleaning not only restores freshness; it also protects your investment and should be carried out on a regular basis. The presence of dirty upholstery encourages allergens and dander to attach to the rest of your living quarters, like your carpets, drapes, and almost every other item in your home. We want to impart on you, our client, how important it is to have your furniture cleaned regularly. This will guarantee the absence of ingrained soil, dust, and dirt, all of which create unhealthy breathing conditions. 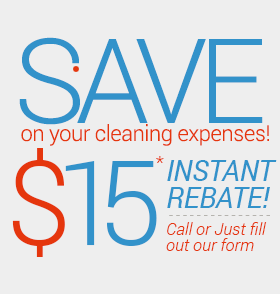 Professional upholstery cleaning is one step towards a healthier, cleaner, and fresher living environment. In fact, health care professionals recommend that upholstery and furniture be cleaned at least once a year by professionals to ensure the removal of allergy and asthma inducing pathogens so common in upholstery and carpets. UCM Cleaning Services provides the ultimate in care and consideration to extend and preserve the life of your furniture.